Ashleigh grew up in Moore, MT and graduated high school in 2009. She majored in Health and Human Performance at Montana State University Billings, graduating with a bachelors in May of 2014. Ashleigh married Cody Bass in July of 2016. 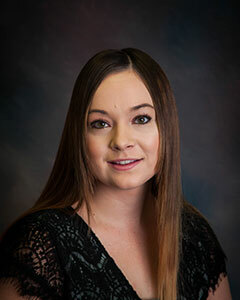 She joined Lewistown Insurance in October 2015, and is our claims agent and bookkeeper.